Hair Direct is pleased to announce the availability of undetectable High Definition hair systems for people with all kinds of hair loss. Hair Direct's innovation marks and industry-leading step toward more versatile hair loss solutions. 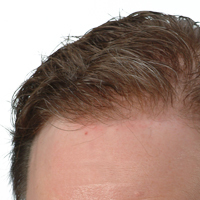 Hair Direct, an online hair replacement retailer located in Lancaster County, PA, is proud to announce the most natural-looking hairline anywhere, with its High Definition Hairline. The trademarked process uses strategically placed hairs in the front of a hair system to mimic the density-progression of naturally growing hair. Hairs in these systems are tied to lace materials that are breathable and lightweight, so they feel as natural as possible. The High Definition Hairline TM also incorporates bleached knots, designed to make the hair in a hair system appear to grow directly from the scalp. For years, traditional wigs and toupees have presented a solid hairline that is difficult for wearers to disguise as their own growing hair. Hair Direct's innovation marks and industry-leading step toward more versatile hair loss solutions. These advances will enable Hair Direct’s customers to enjoy confidence in their hair’s realistic appearance.